Why Is The 'To Be Or Not To Be' Speech So Memorable? 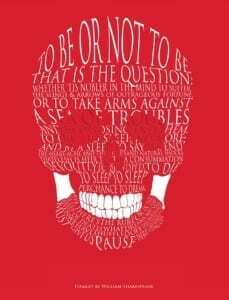 You are here: Home / Blog / Shakespeare Today / Why Is The ‘To Be Or Not To Be’ Speech So Memorable? Why Is The ‘To Be Or Not To Be’ Speech So Memorable? If you were asked to quote something from Shakespeare – just a short line or phrase – what would you quote? 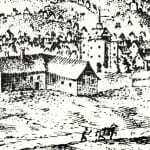 As you’re reading this article on a Shakespeare website you obviously have an interest in Shakespeare, so might give any quote: your favorite line, perhaps, something beautiful evoking a mental picture or a smell, something musical or perhaps something that has special significance for you. Ask a more random sample to quote a line of Shakespeare and what would they quote? Well, it could be ‘If music be the food of love, play on’ or ‘Romeo, Romeo, wherefore art though Romeo?’ But almost everyone would say, ‘To be or not to be,’ and some would add, ‘that is the question.’ So just what is it that makes Shakespeare’s ‘to be or not to be’ speech so memorable? I remember, many years ago, when I was an English teacher, I attended a course about reading ages in texts. 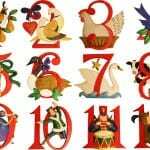 The speaker had developed a theory about counting the number of syllables in the words of a given passage. He said that if one kept the number of syllables low in one’s worksheets, notes to students etc. everyone would be able to understand them. I drew his attention to the ‘to be or not to be’ speech, a soliloquy saturated in deep philosophical ideas about life and death. In spite of its monosyllabic words, how easy is it to understand? The fact is that the language is as simple as language can get but the ideas are extremely profound. ‘To take arms against a sea of troubles,’ for example, and ‘To die, to sleep, no more, but in that sleep of death what dreams may come,’ every word but one monosyllabic, go right to the heart of human existence and the deepest dilemmas of life. But let us go back to the first half of the line, ‘to be or not to be,’ which introduces the speech. Actors playing Hamlet have great difficulty with that speech, and particularly with that line. It’s not that they have a problem about understanding it, it’s that they don’t know how to do it in a way that makes it sound new, as the audience knows it so well. And also, actors playing parts like Hamlet like to interpret the role and the language differently from other actors who have played the role. But how do you say ‘to be or not to be’ differently? You can’t. It has a definite meter, a beat in which you have to come down hard on the two ‘be’s and the ‘not’in the middle. Try it and you’ll see. It’s impossible not to put a heavy stress on those words. Chiasma are always short and snappy and say a lot in their repetition of words and their balance. 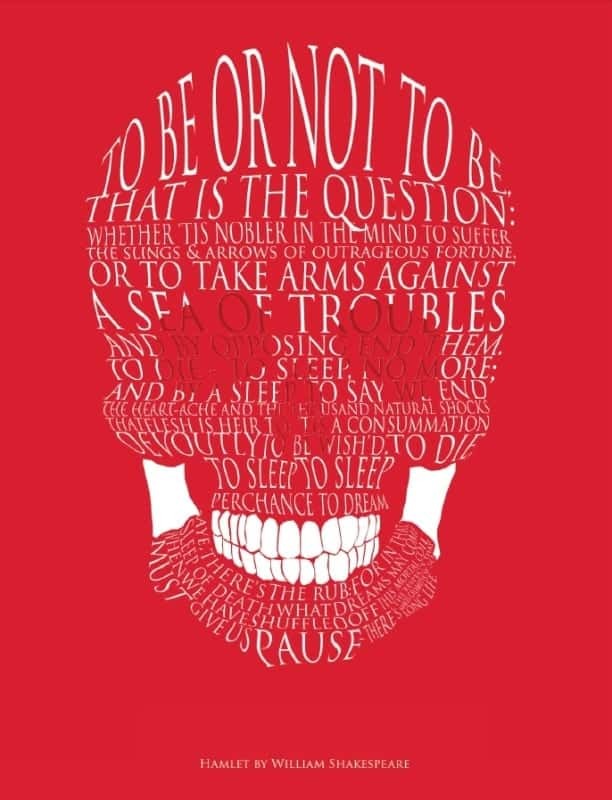 And so it is with Hamlet’s speech that starts ‘to be or not to be’, arguably Shakespeare’s most memorable line – in the collective conscience centuries after the words were written and performed. https://www.nosweatshakespeare.com/wp-content/uploads/2013/12/to-be-or-not-to-be-speech.jpg 800 612 warren king http://www.nosweatshakespeare.com/wp-content/uploads/2014/01/nss-logo.png warren king2013-12-16 18:53:362014-02-08 09:26:46Why Is The 'To Be Or Not To Be' Speech So Memorable? Very interesting idea, and it makes sense. I found myself looking at Hamlet’s soliloquy much closer, seeing things I had overlooked before. Thank you. I will argue a bit on “all chiasma are short and snappy”. I daresay that the chiasma in the Bible’s Book of Isaiah are the exception to that rule.